A special music event raised more than £2,000 for Nottingham's statue fund. Volunteers followed in the footsteps of Sir Bob Geldof, by putting on a gig called 'Clough Aid'. 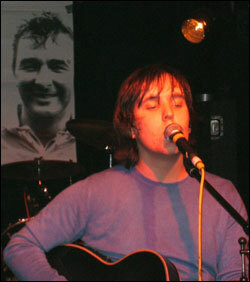 The event featured a line-up of local bands at the Rescue Rooms in Nottingham city centre (December 15th, 2006), with proceeds going to the Brian Clough Statue Fund in Nottingham. The event was compered by Cloughie's European Cup winning captain John McGovern, who said Cloughie was the single biggest inspiration in his footballing career. "The night was certainly right up my street," he said. "It probably won't surprise anyone if I said I couldn't live without football - but I couldn't live without music either!" 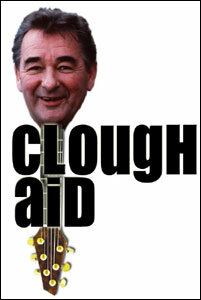 The idea of putting on Clough Aid was instigated by the band The Fakers - whose singer, Dave Marmion, is a huge Nottingham Forest fan. 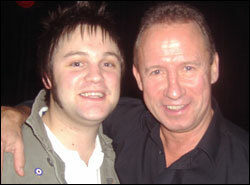 Continued Dave: "I think that is a good measure of how Forest fans see Brian - with the love of a family member. That is why I wanted to get involved in helping the statue fund. 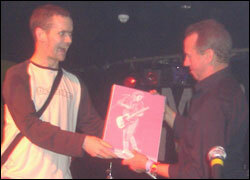 And with me being in a band, putting on a gig seemed to be the obvious thing to do to raise some money. 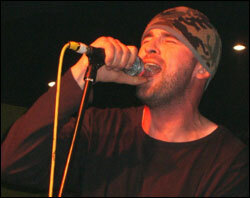 Alongside The Fakers, other bands were Lucky Bullet, Daddy Rough, Delta Red and Mint Ive. John McGovern read-out a special message from Barbara Clough. "Clough Aid is a brilliant idea to showcase the talents of local bands and musicians," said Mrs Clough. "Brian would certainly have approved, though probably not attended!! All I can say, on behalf of his children, grandchildren and his brothers and sisters is a huge and sincere thank you." Rich Fisher from the statue fund said he was delighted with the success of 'Clough Aid'. "It was a great night," he said. "Not only has it made a brilliant amount of money for the fund, but everyone who came along also seemed to really enjoy themselves. "We are extremely grateful to The Fakers and in particular their singer, Dave. 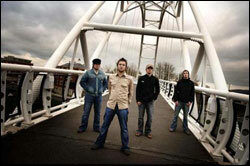 Not only did they play a great set, they also worked tirelessly in organising and promoting 'Clough Aid' for us. We'd also like to thank all the other bands who played, plus Matt Henshaw from Censored, who kicked off the night with a solo acoustic set." During the evening, there was a cheque presentation of £1,447 from the Forest fans website Lost That Loving Feeling (ltlf.co.uk), which helped to take the fund's total to £57,500. Rich Fisher also thanked John McGovern for hosting the event. He presented him with an unusual canvas-based picture. It featured an image of McGovern's head super-imposed on a picture of the Rolling Stone's Keith Richards. Further thanks went to Mat McCallum and 'Mr Bean', who DJ-ed between bands, and the management at the Rescue Rooms, who gave use of their venue free of charge. The statue fund would also like to thank Leigh Murcott, who designed eye-catching posters to promote the event, Elson and Hall Print and Design in Long Eaton, who printed them free of charge, and Shaws Sandwiches who provided a buffet for the bands. Nottingham's Clough statue was unveiled in November 2008 by Mrs Clough.